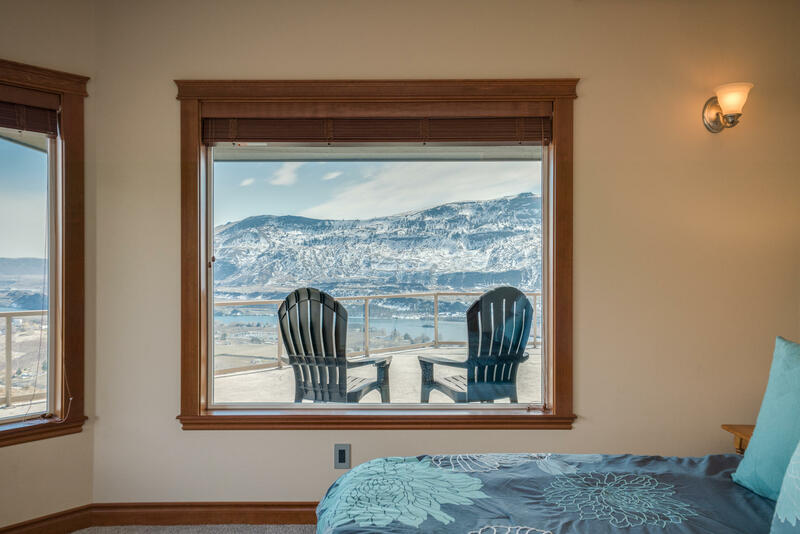 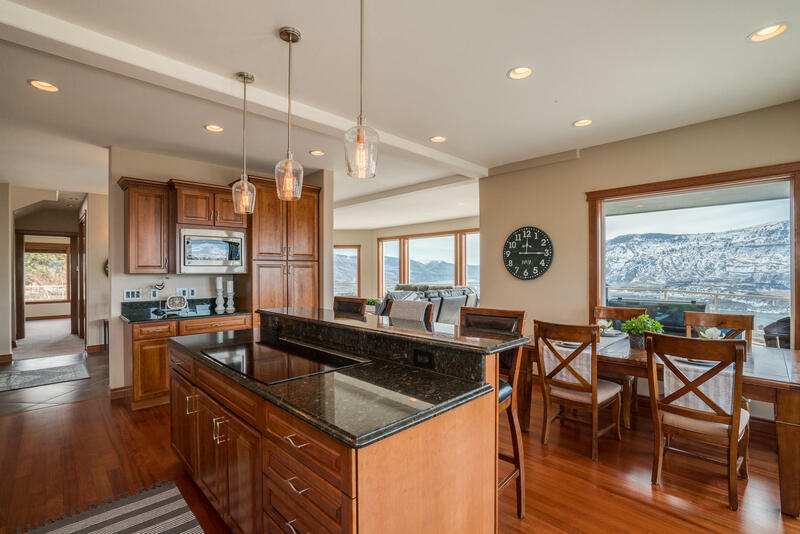 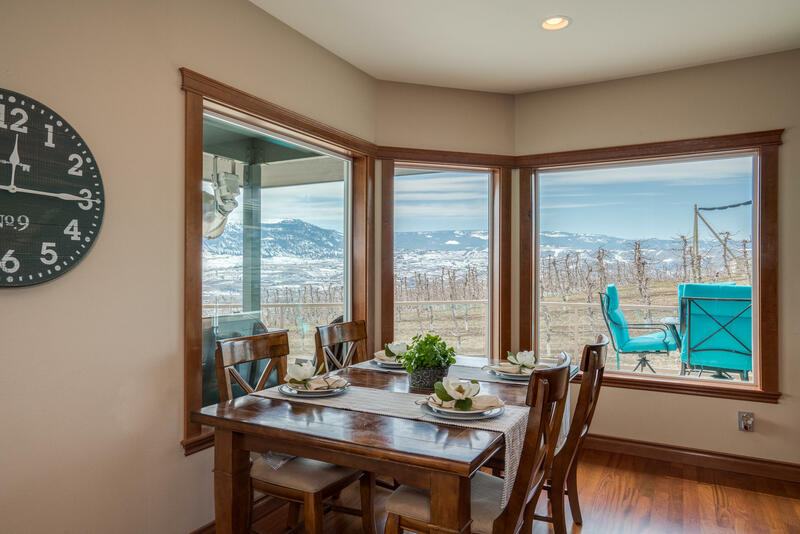 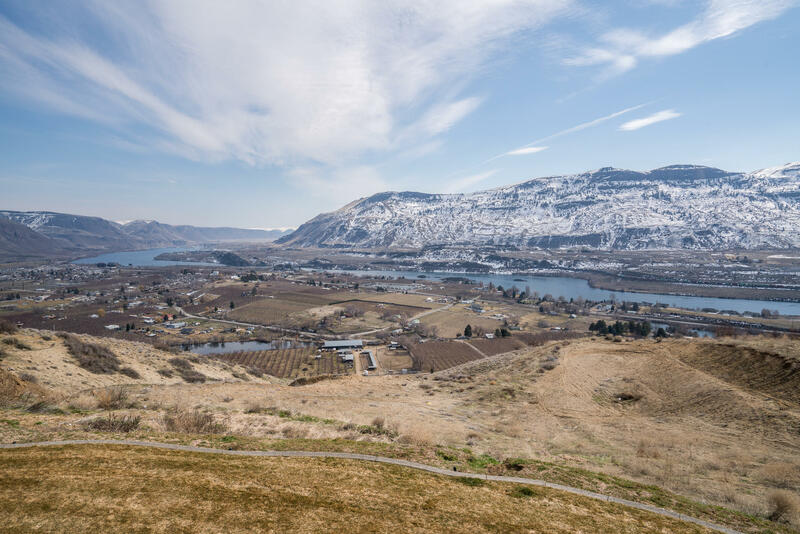 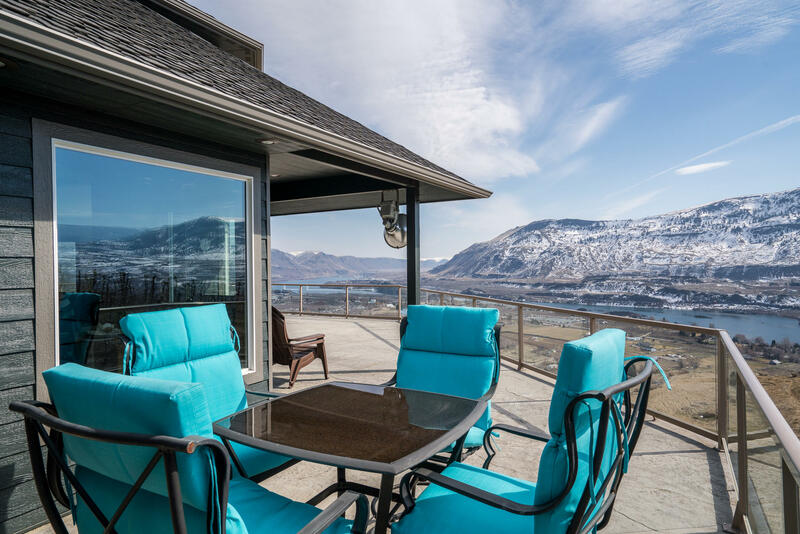 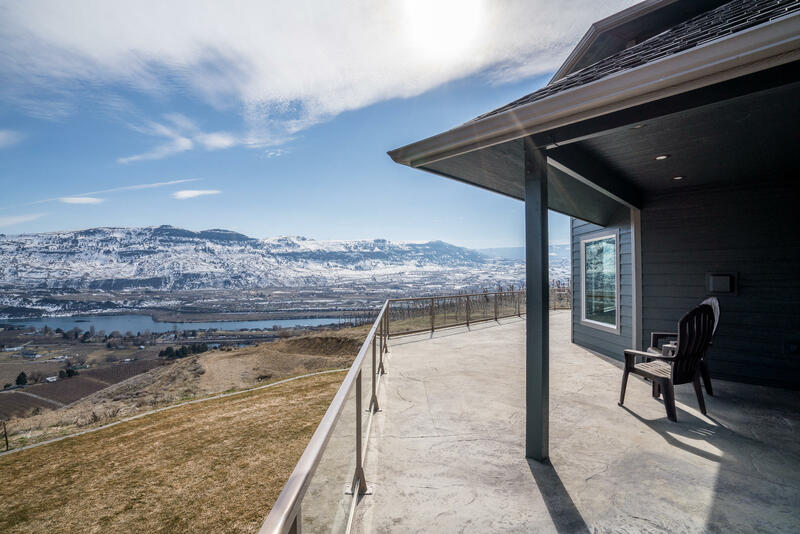 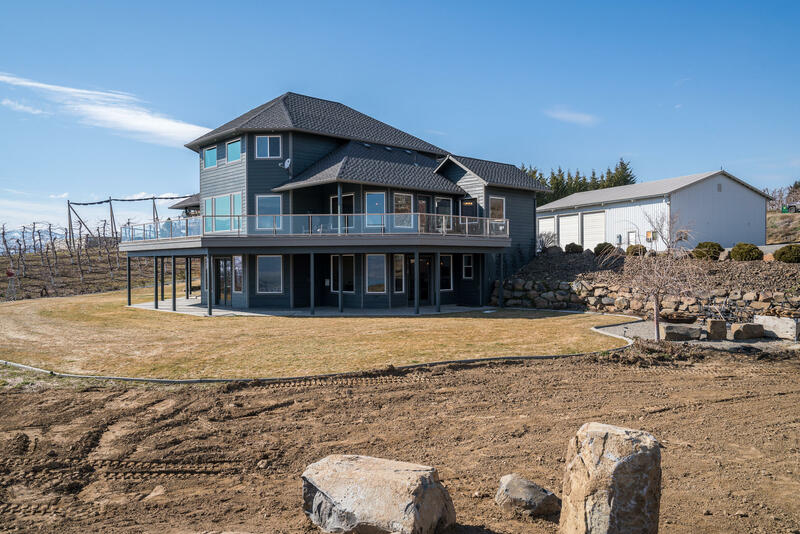 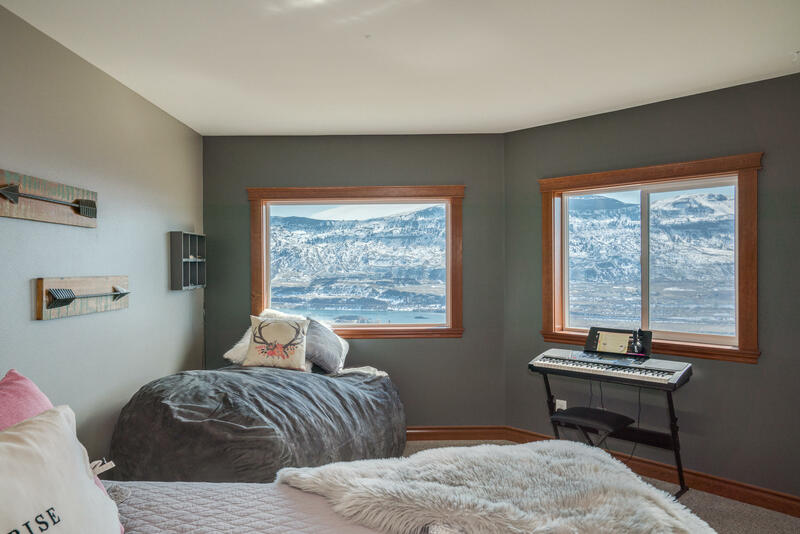 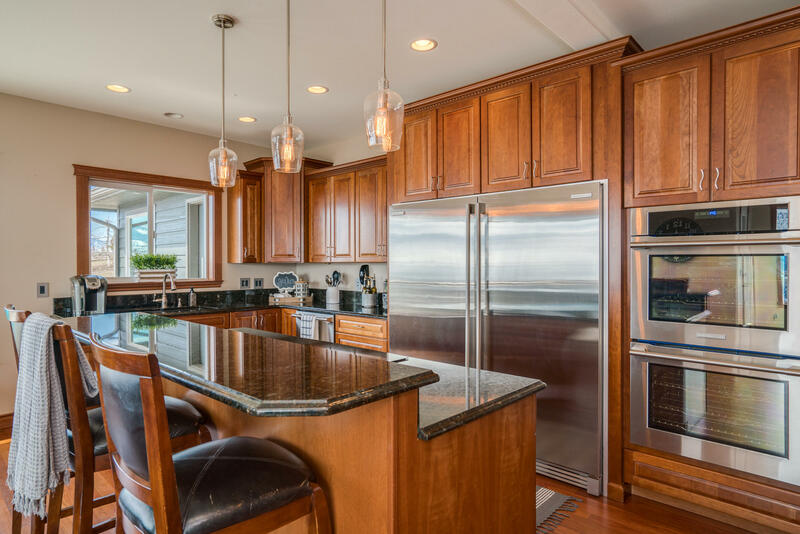 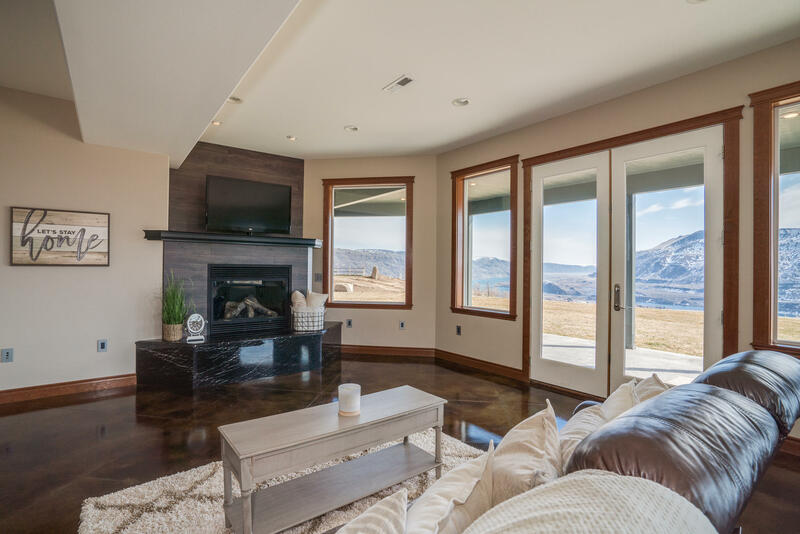 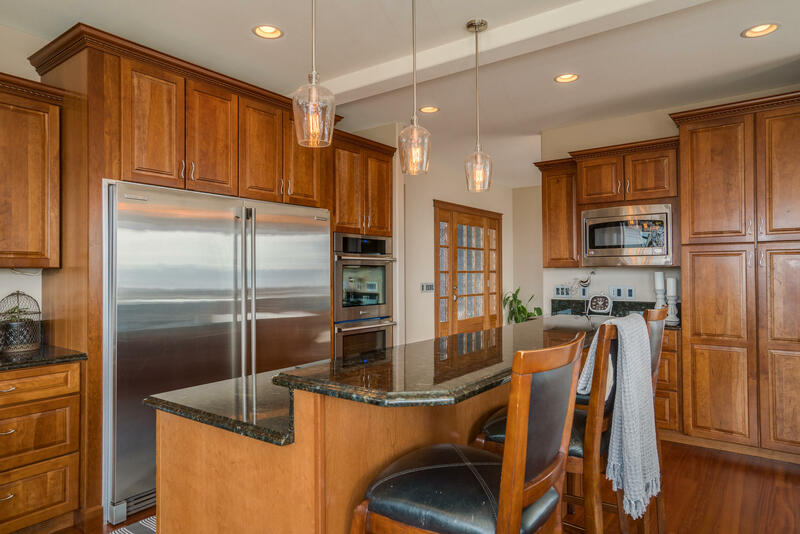 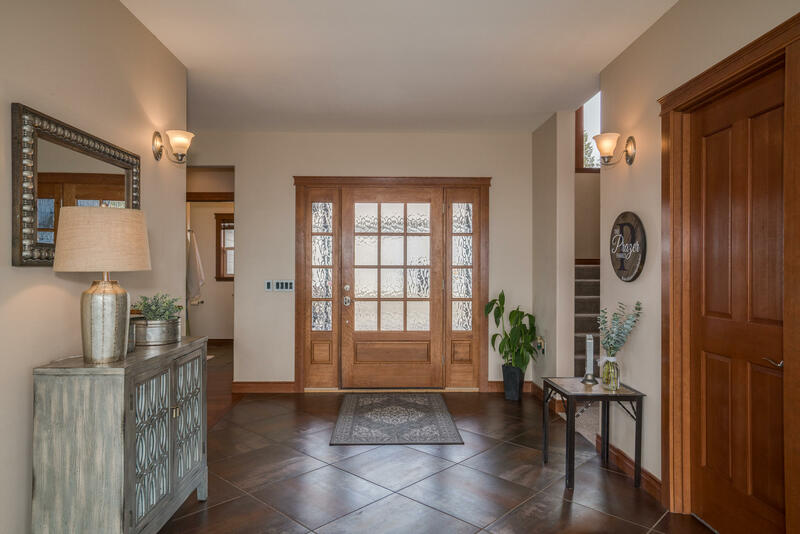 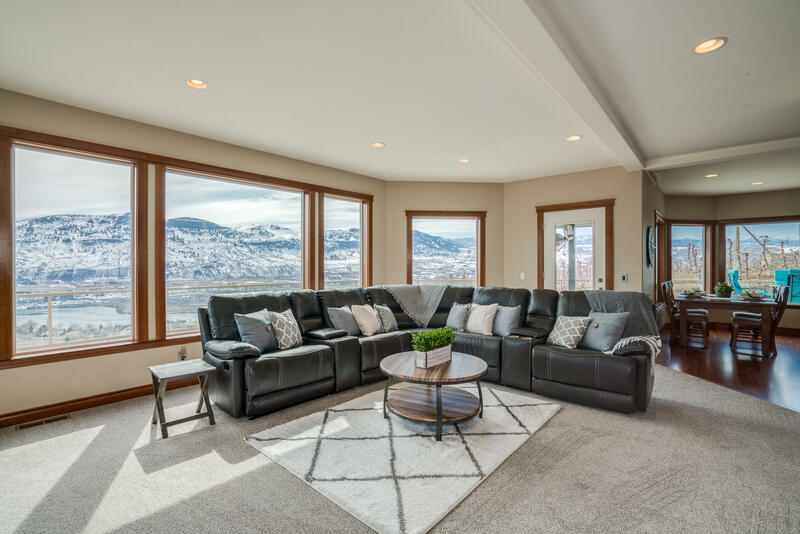 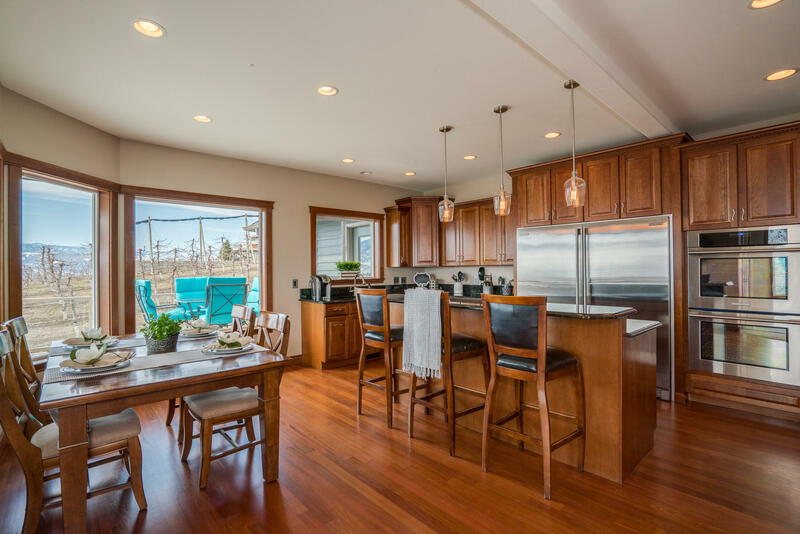 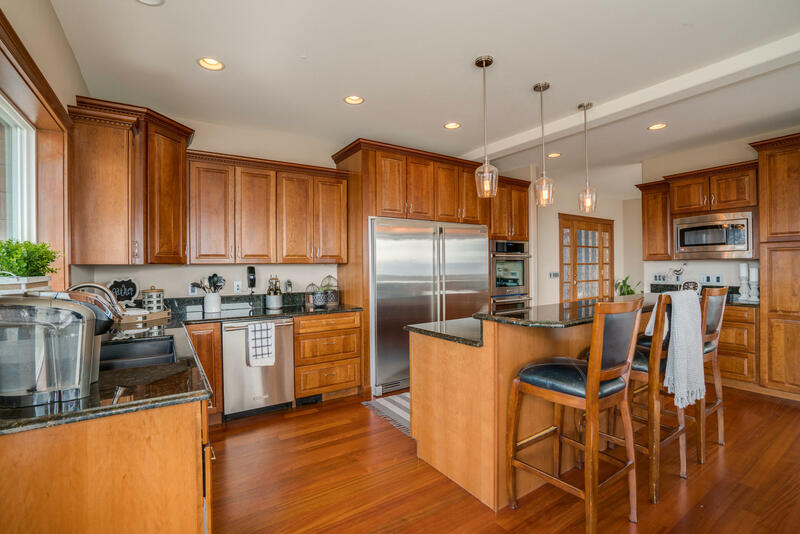 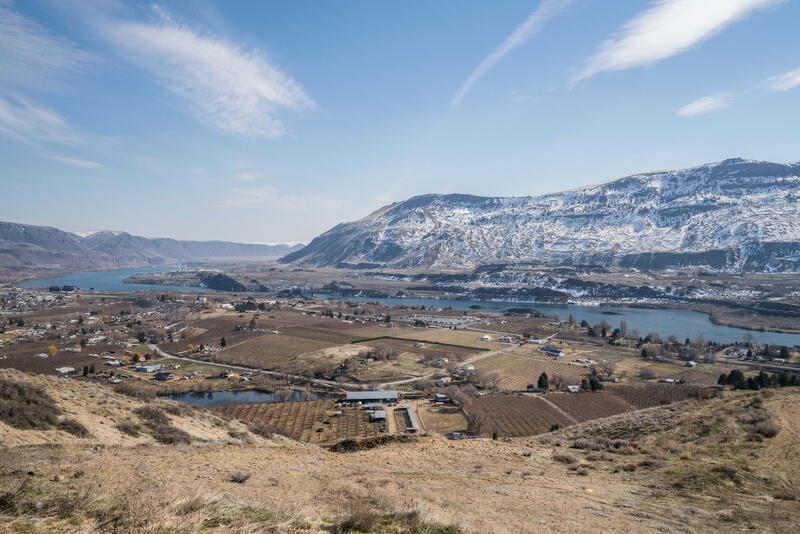 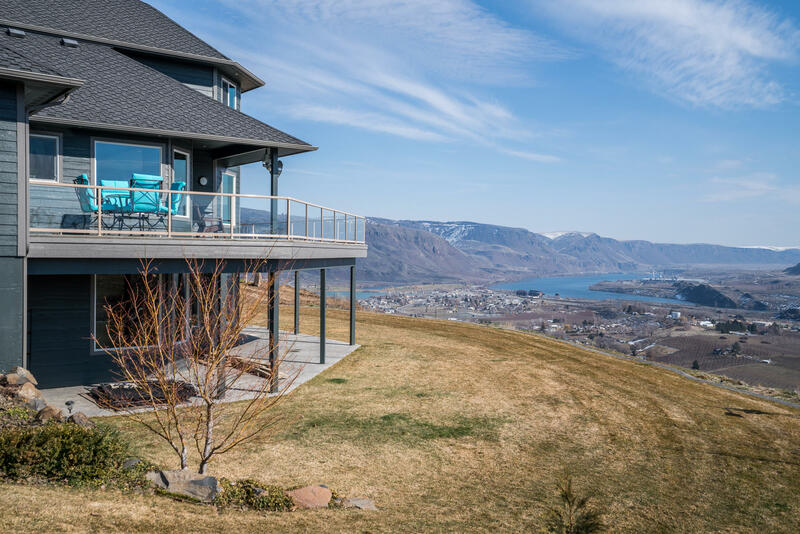 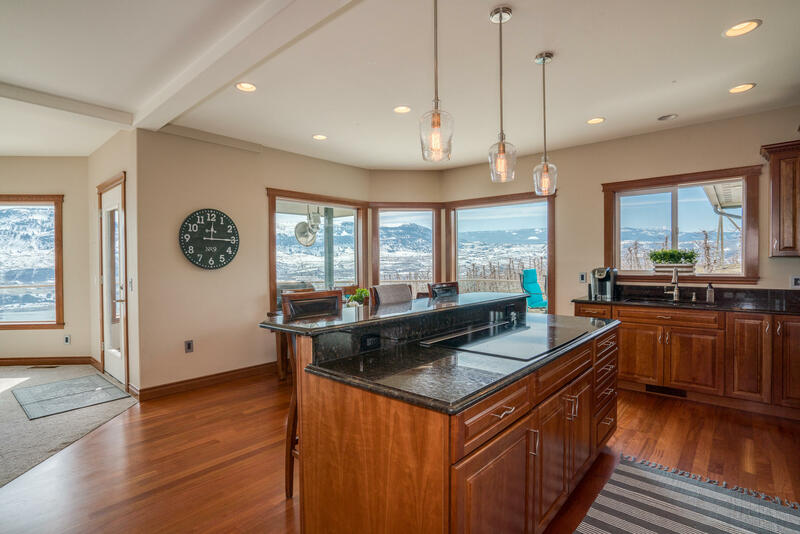 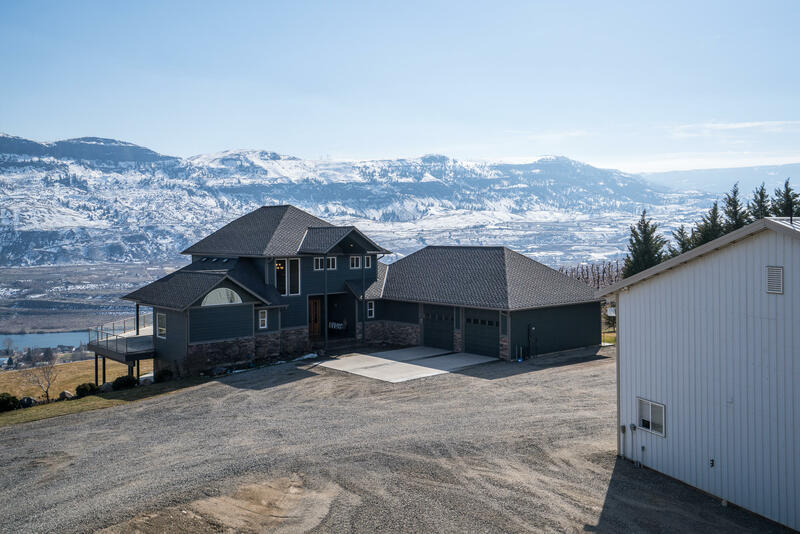 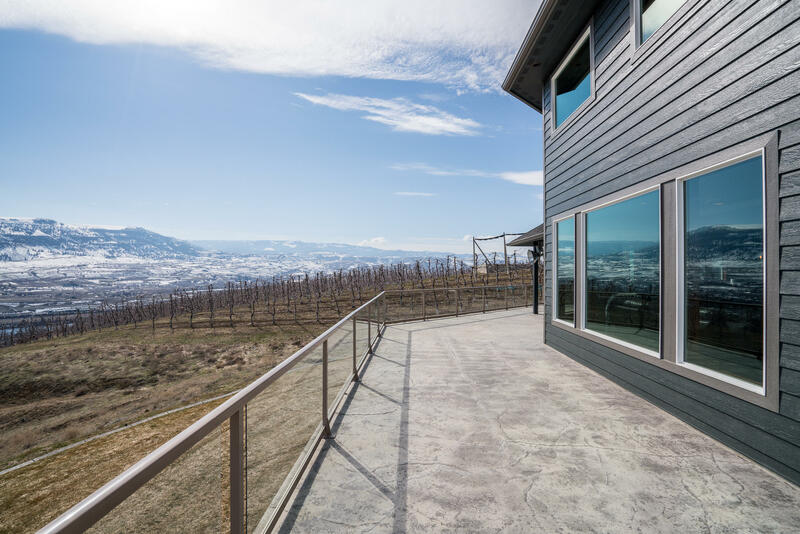 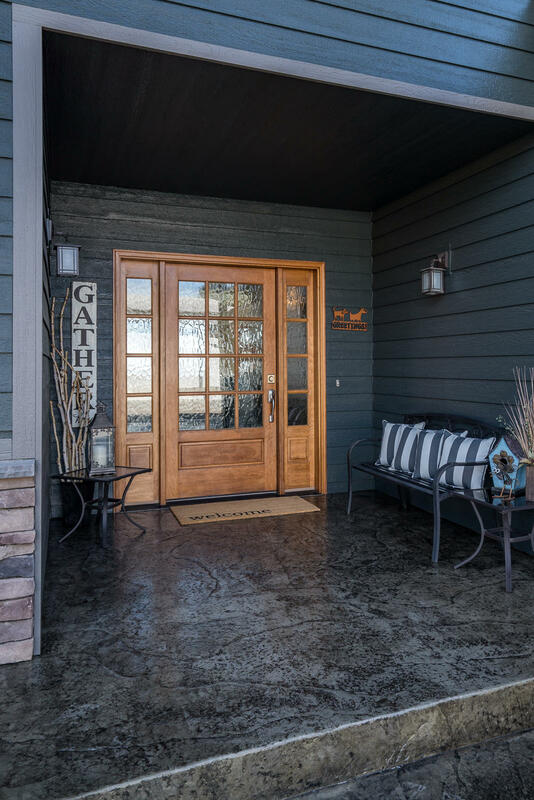 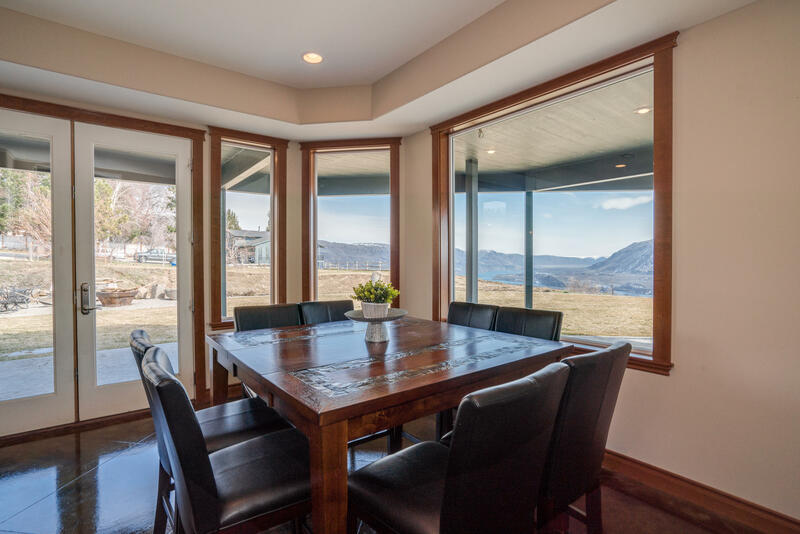 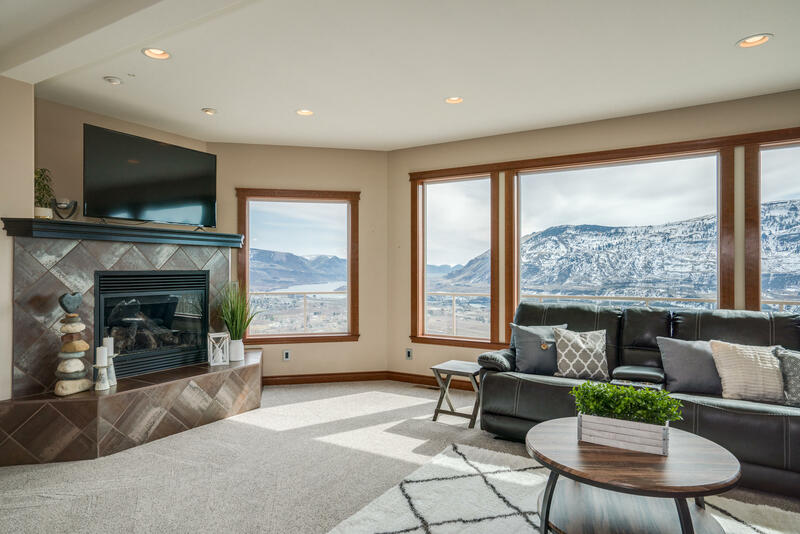 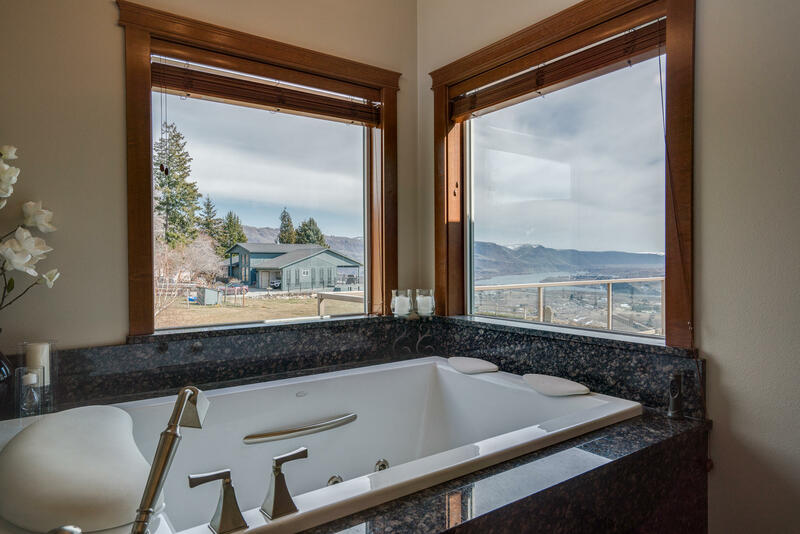 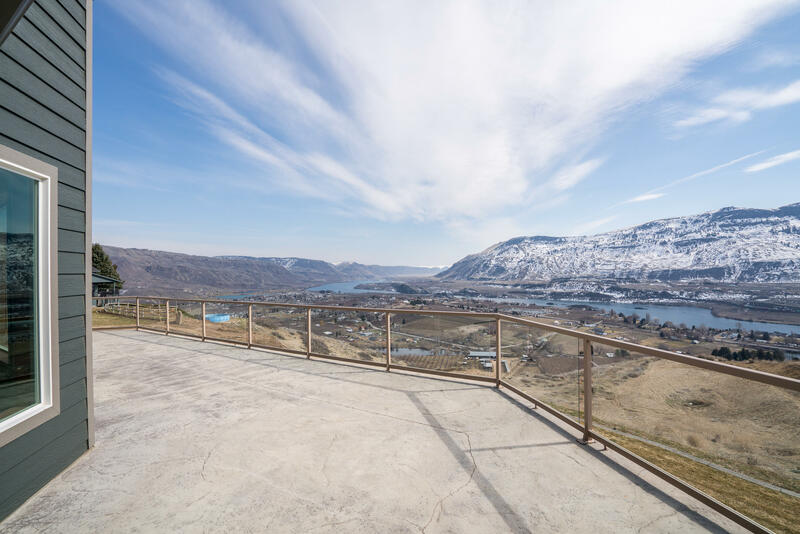 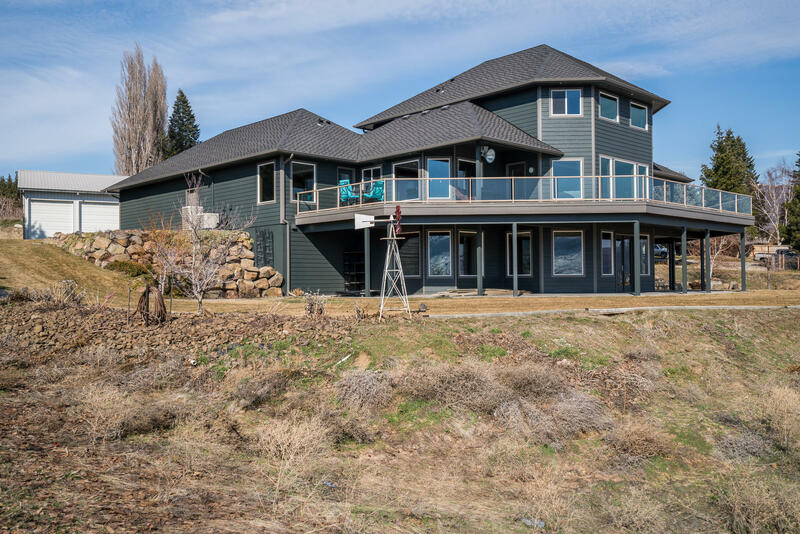 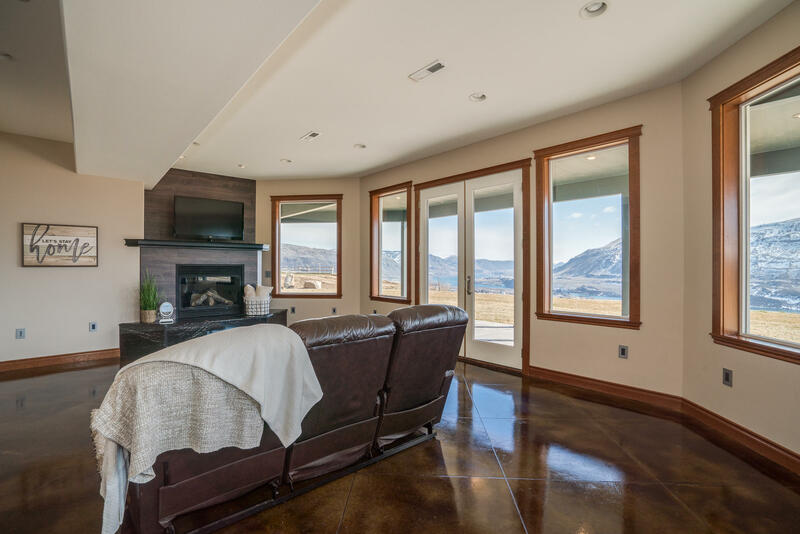 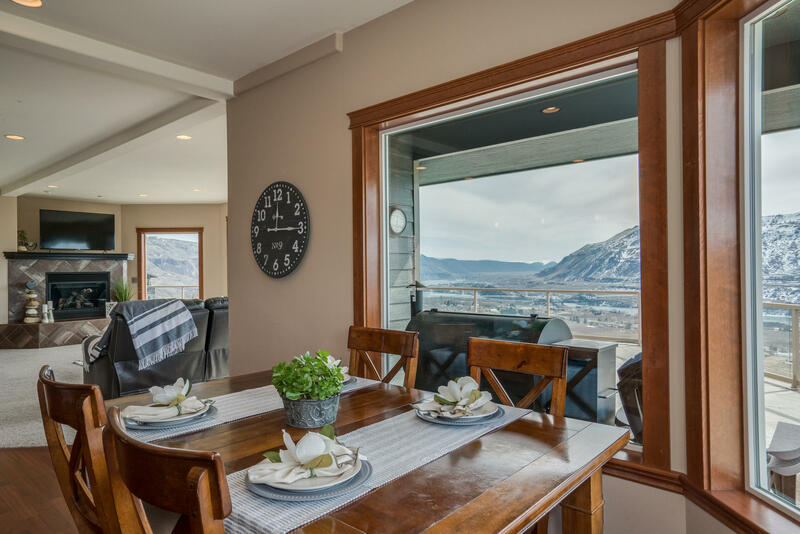 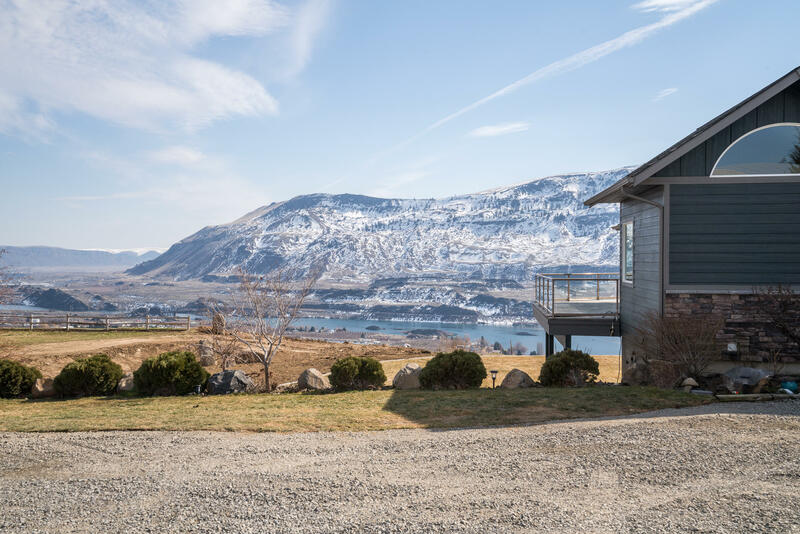 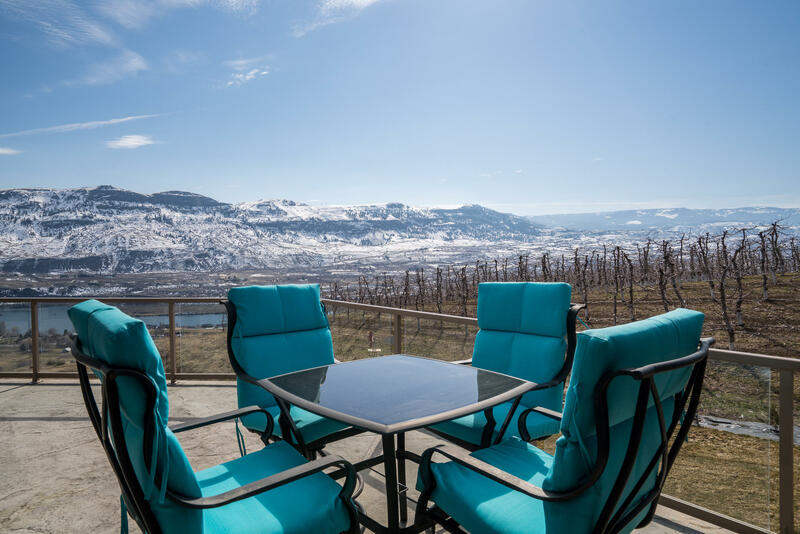 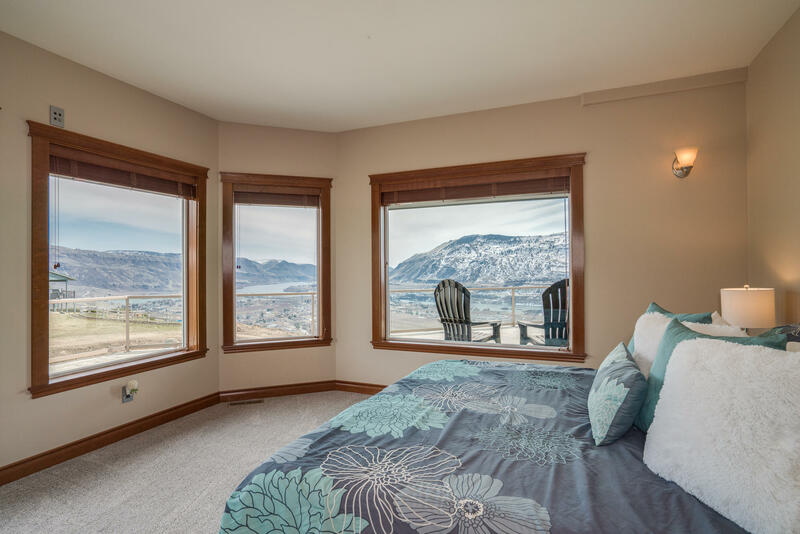 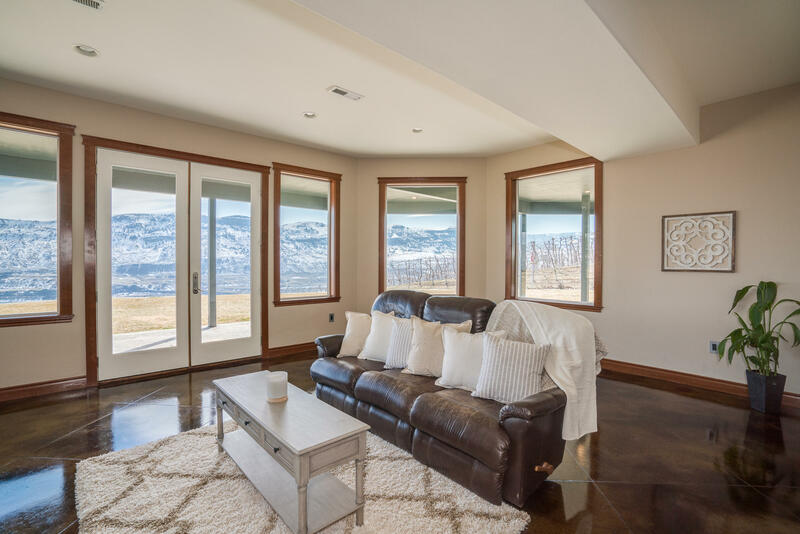 Enjoy the panoramic views from nearly every room in this custom-built, three level home. 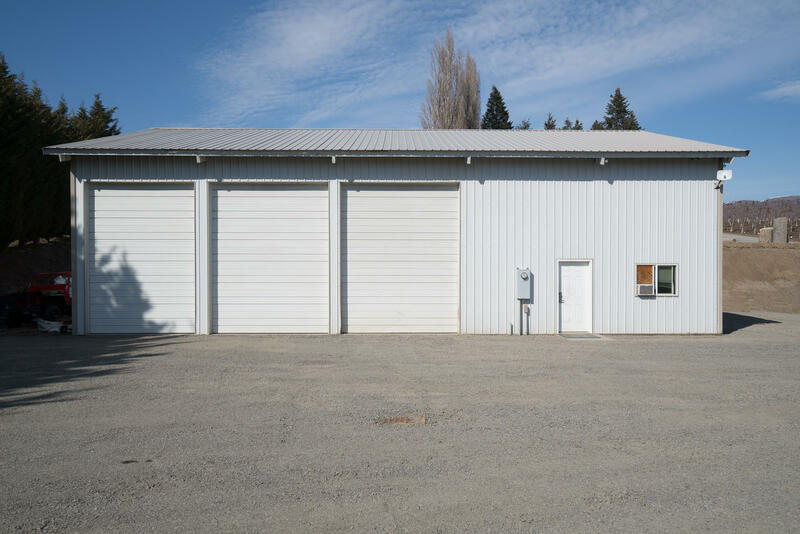 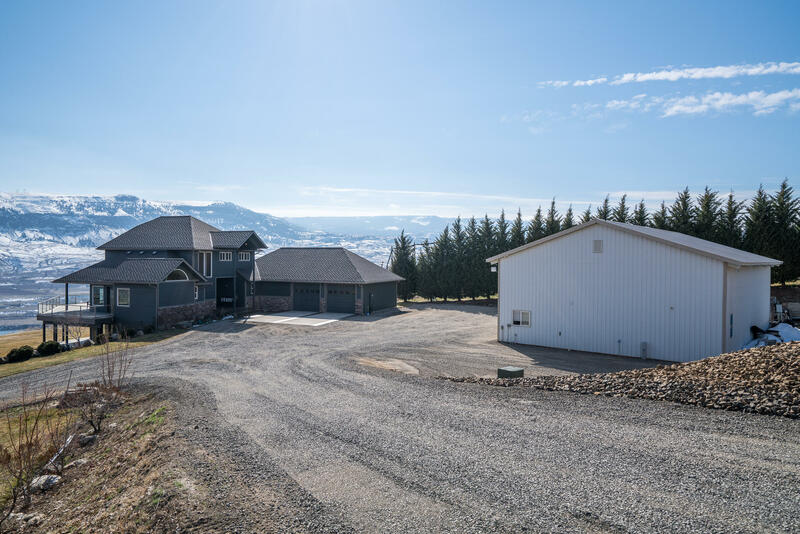 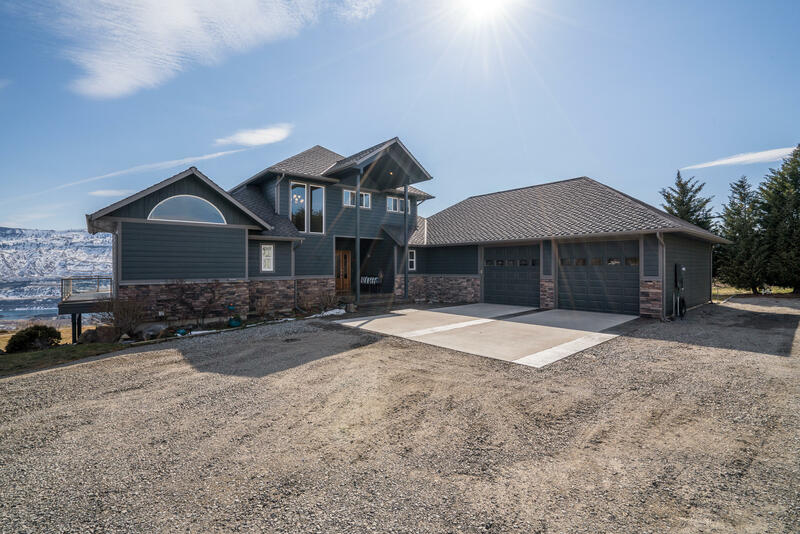 Perched on the ledge of 10 acres offering privacy, space and a 40 x 60 shop with heated flooring, an office and a bathroom. 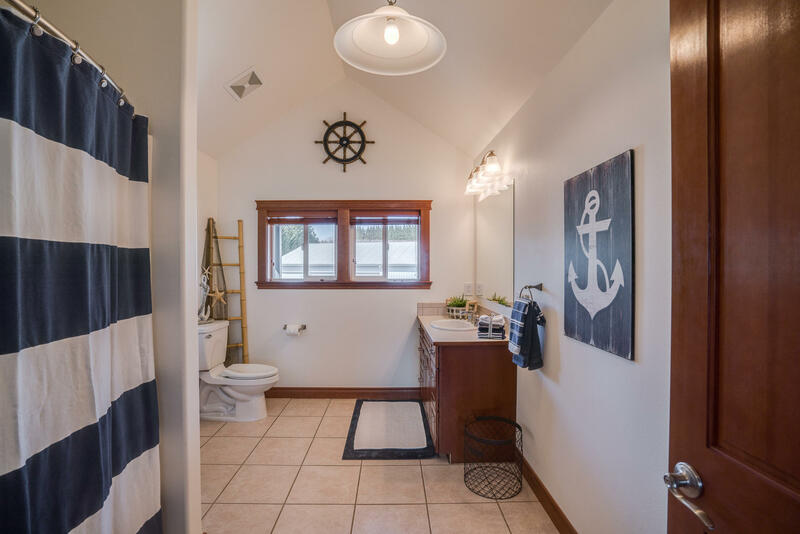 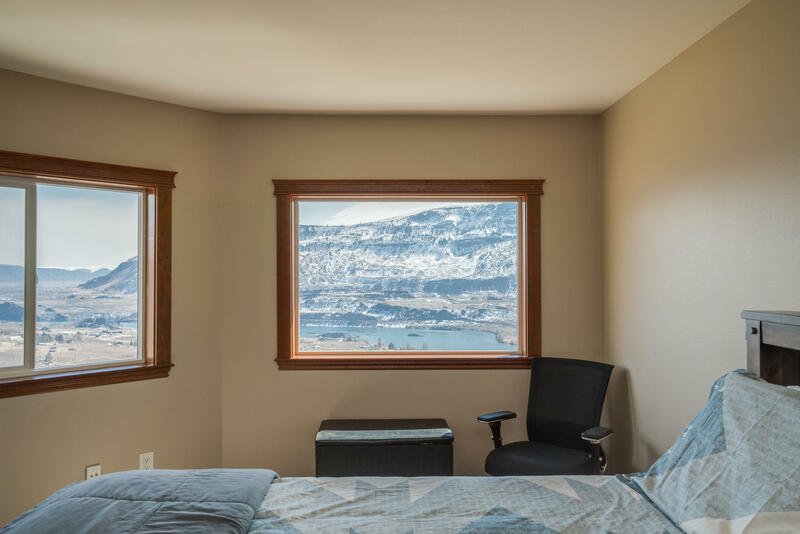 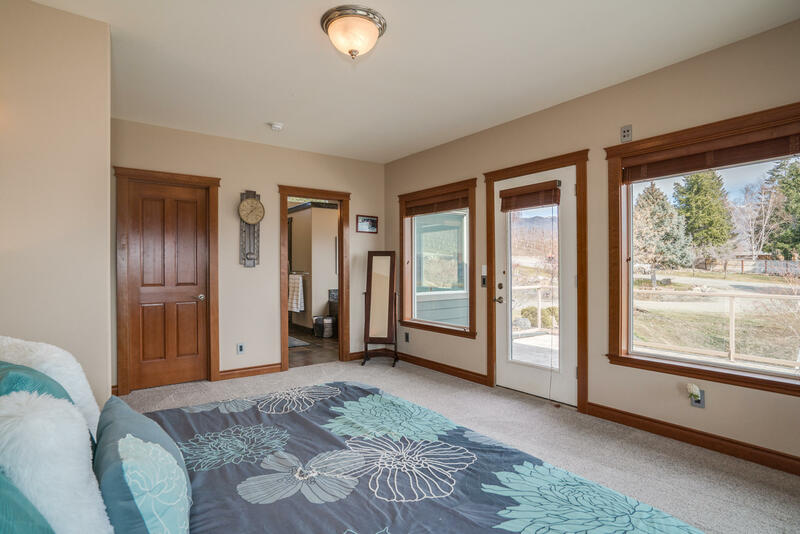 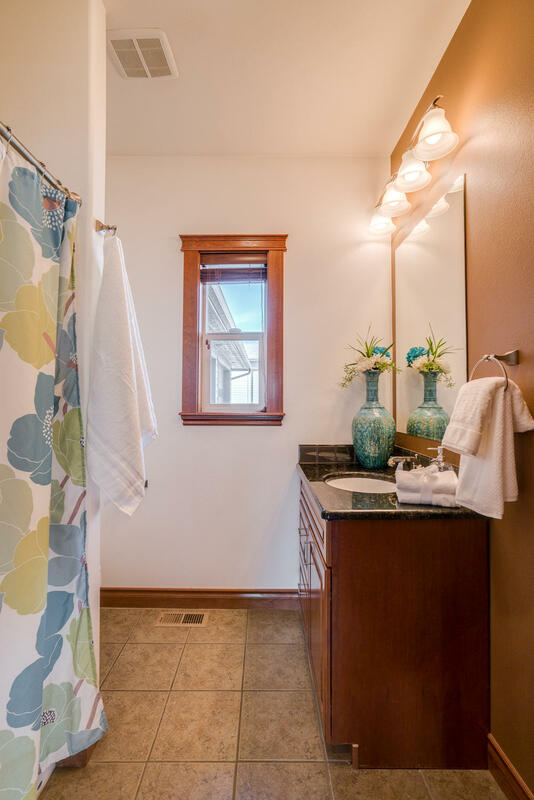 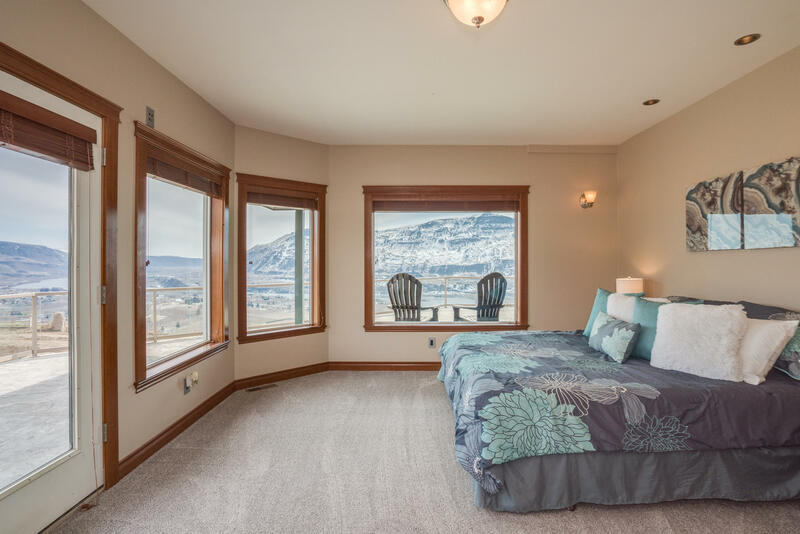 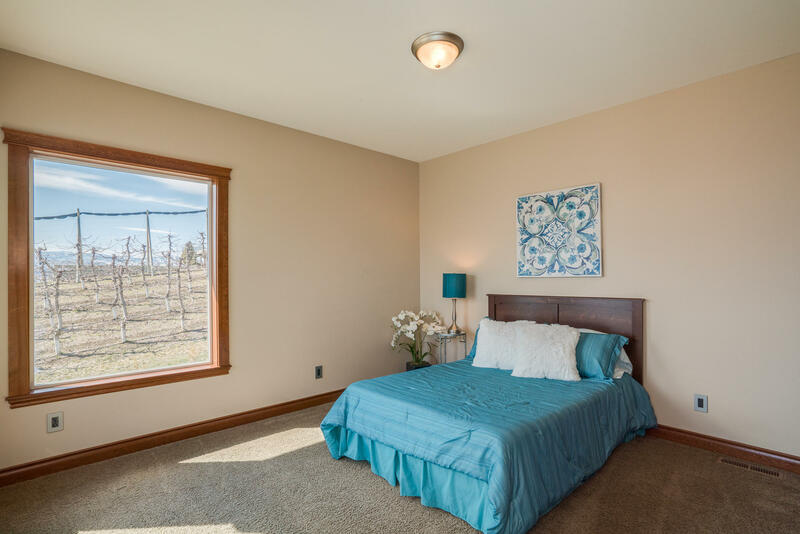 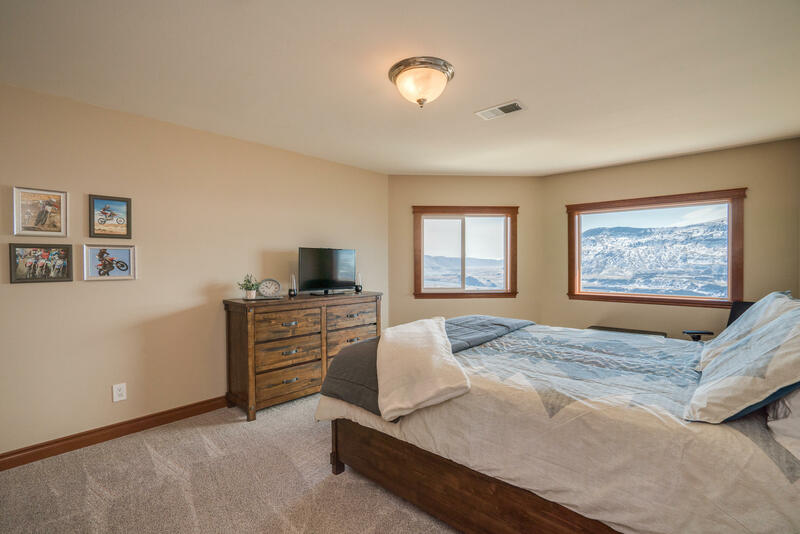 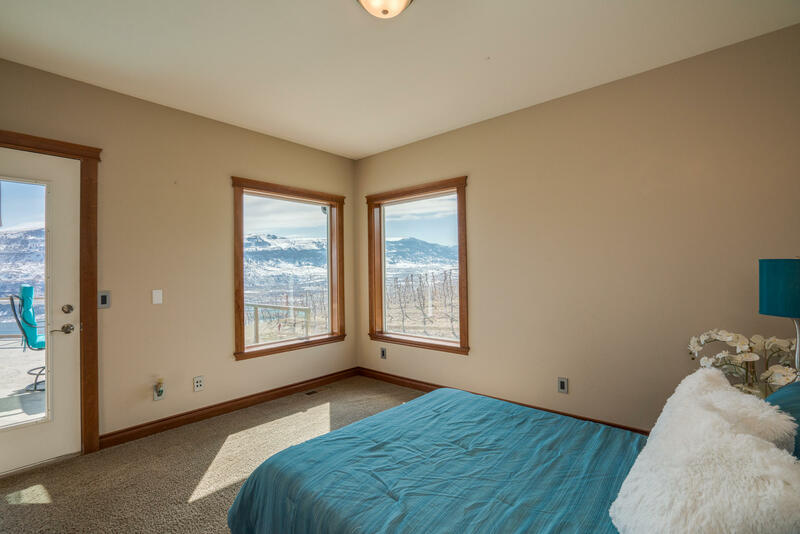 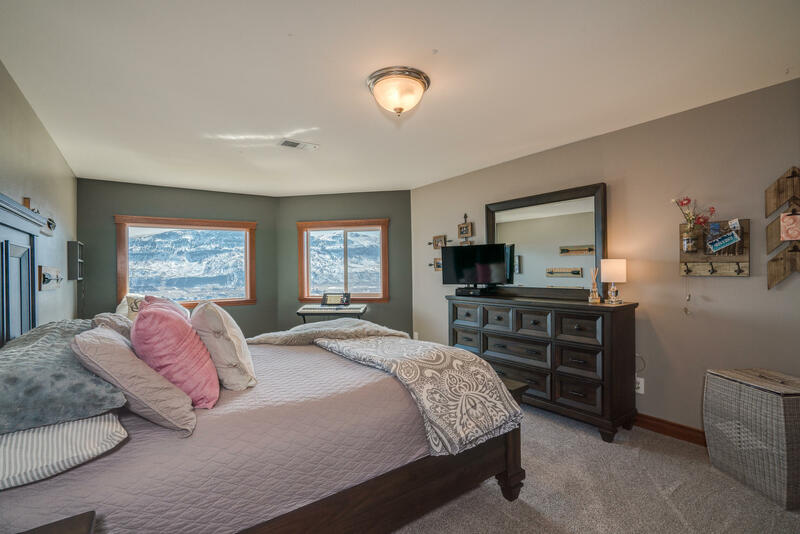 The master bedroom and bath are conveniently located on the main floor. 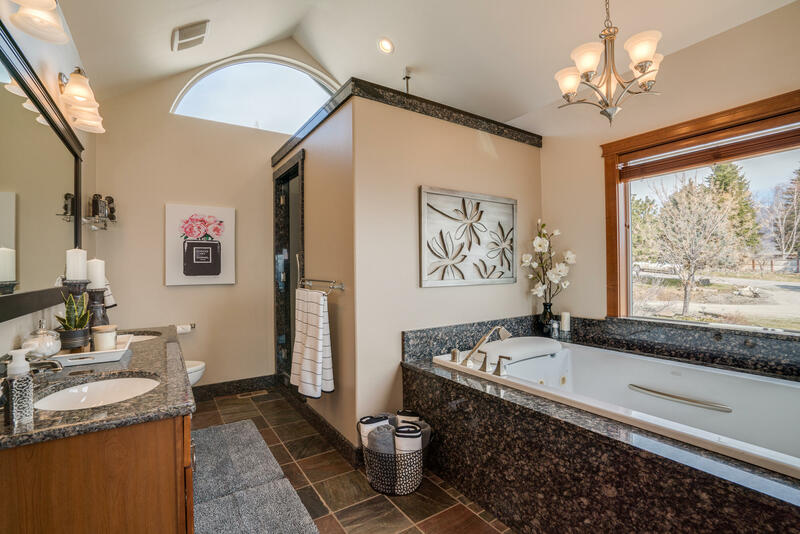 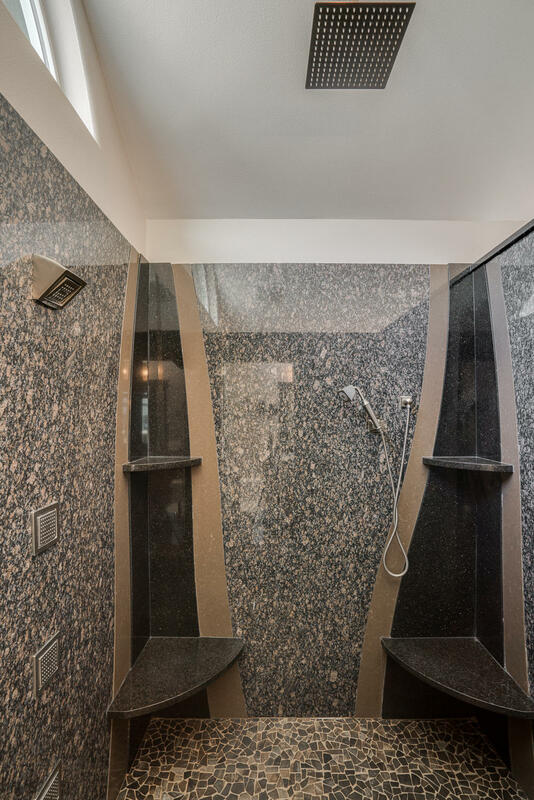 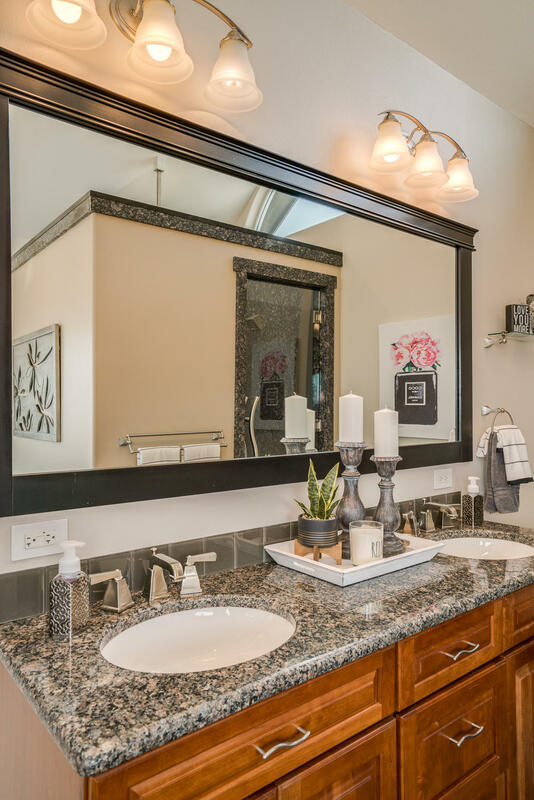 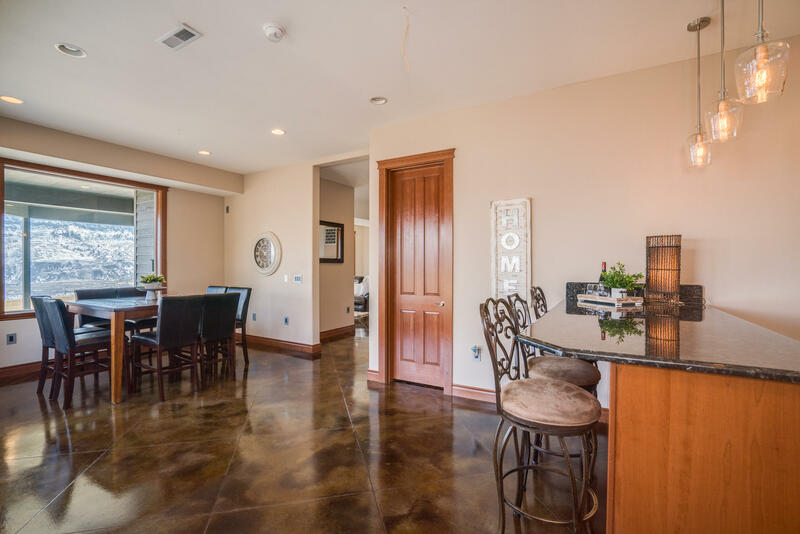 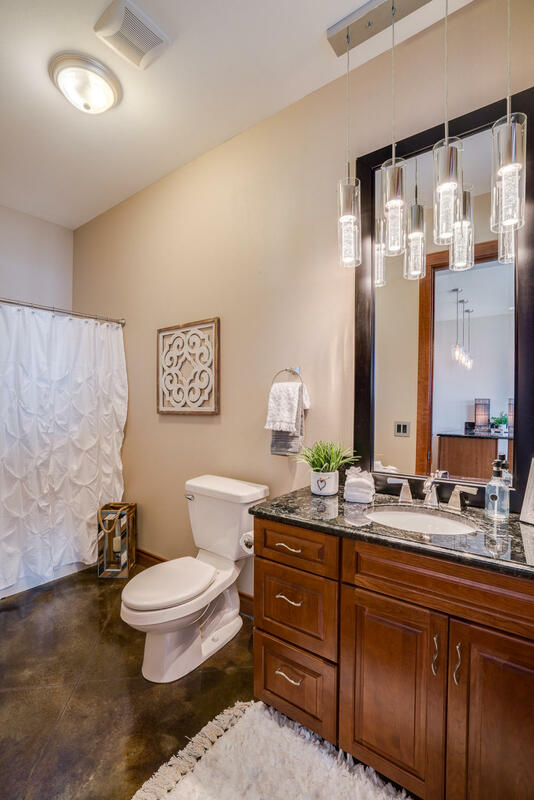 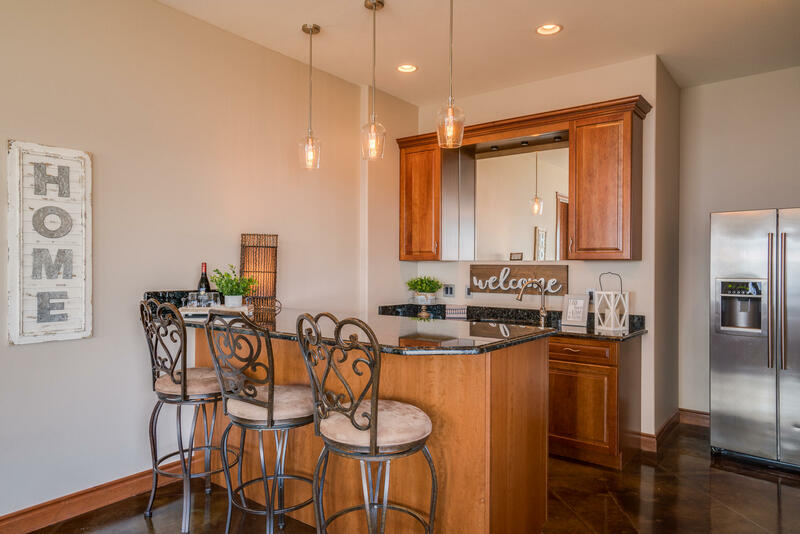 Heated flooring and a granite shower are just a few of the luxurious amenities. 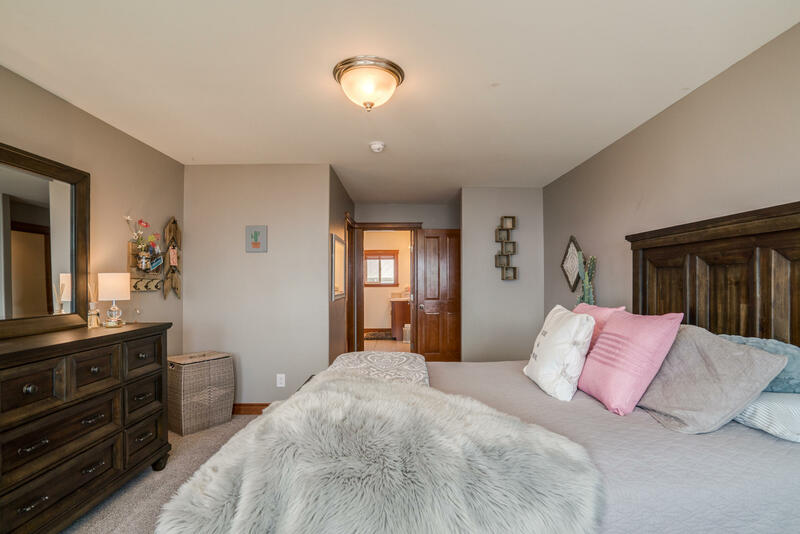 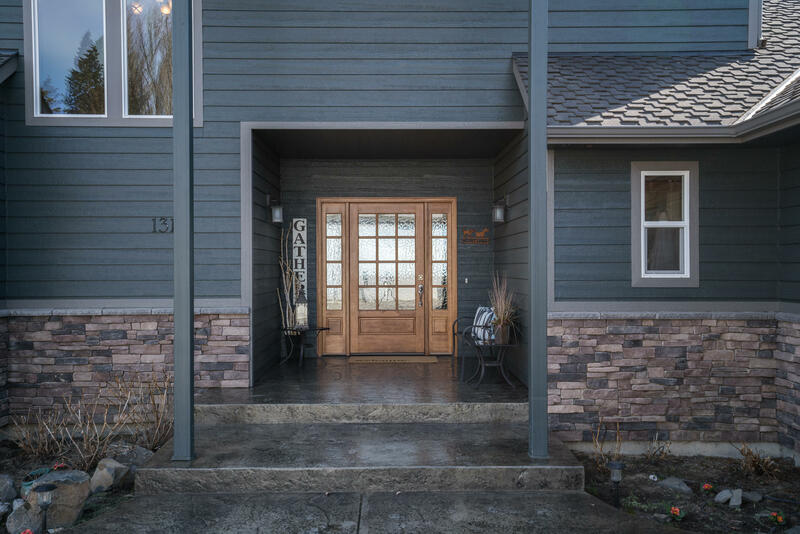 New carpet, spacious room sizes, beautiful hardwoods, two gas fireplaces, a cook's kitchen, fresh exterior paint, expansive decking and plenty of parking. 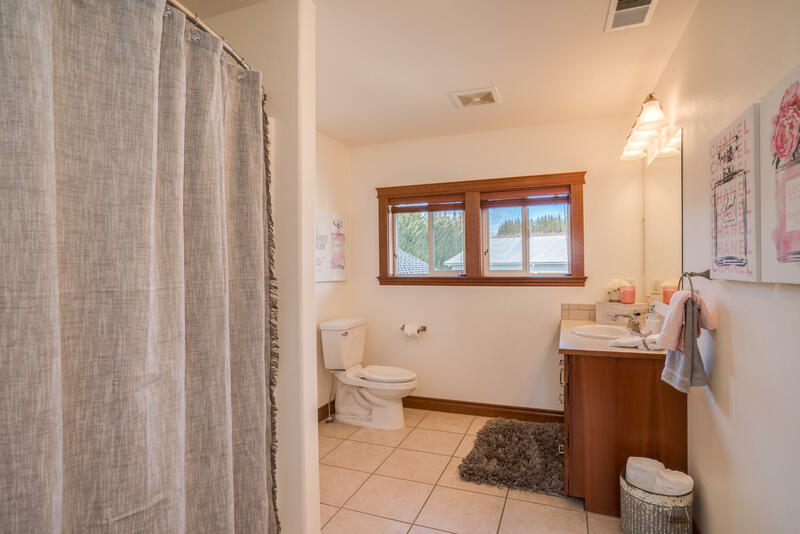 Two bedrooms and two large bathrooms located upstairs. 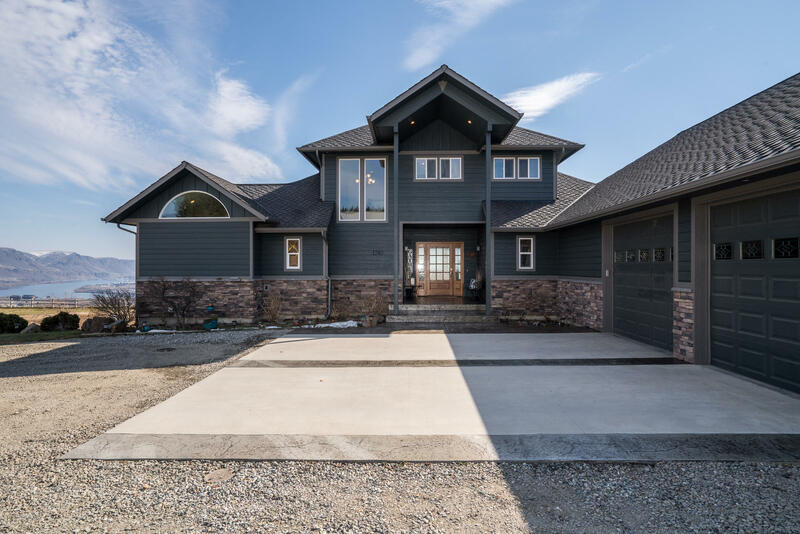 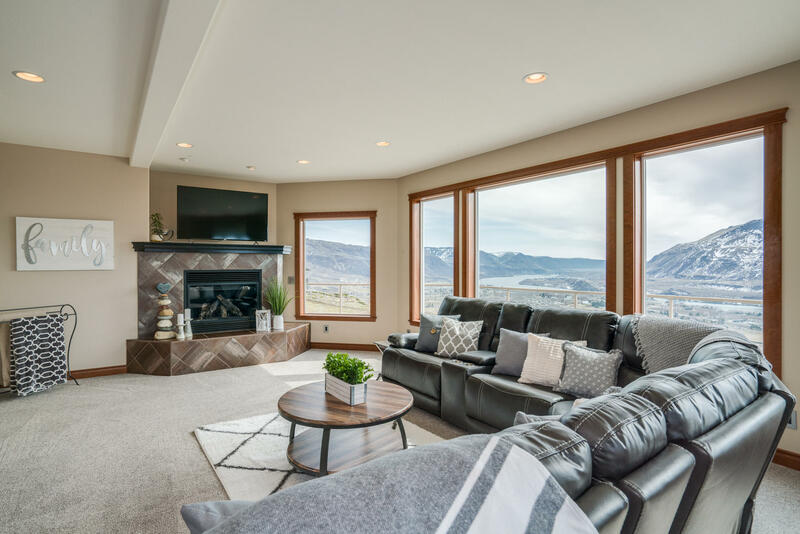 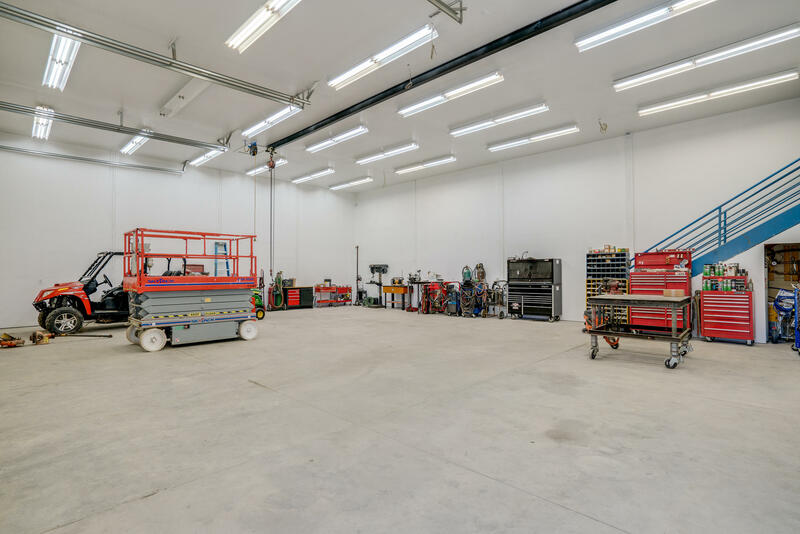 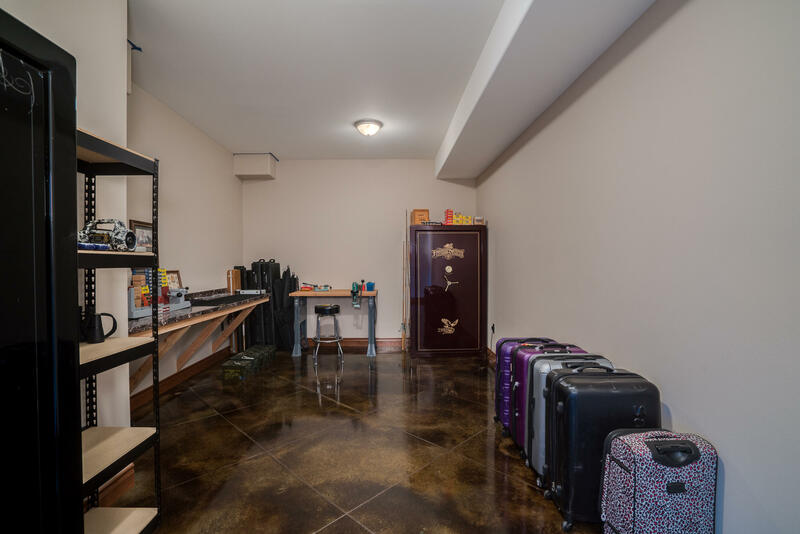 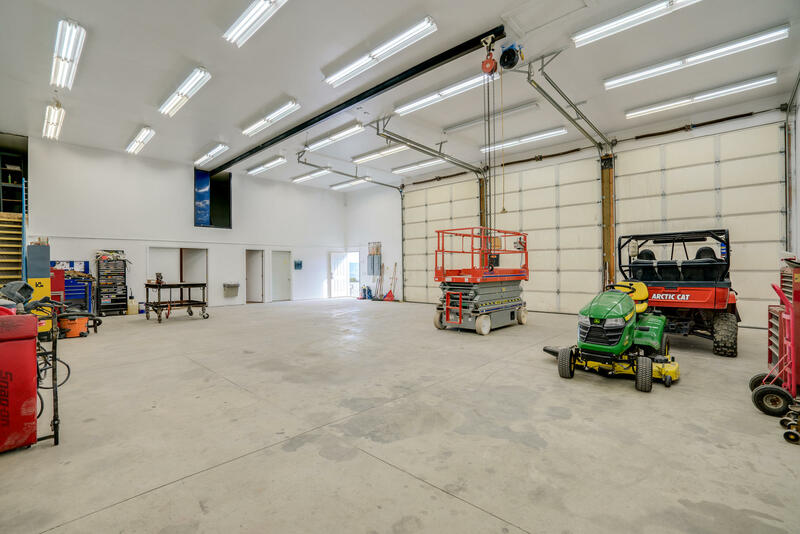 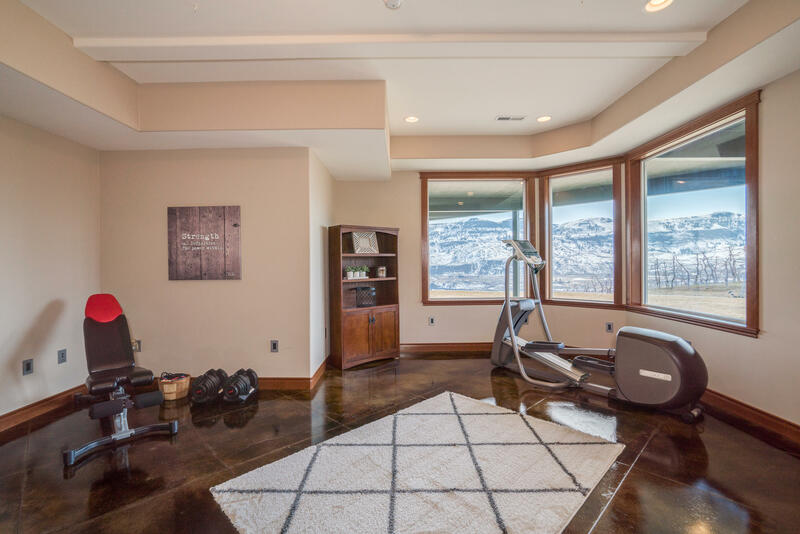 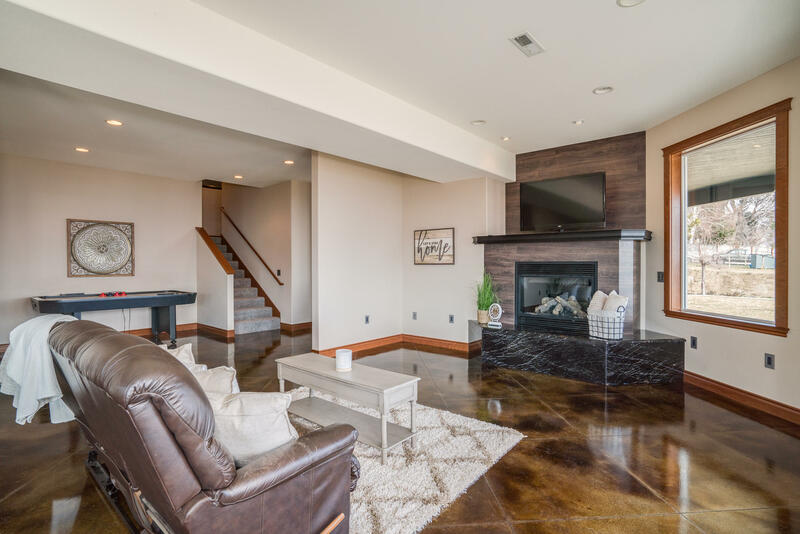 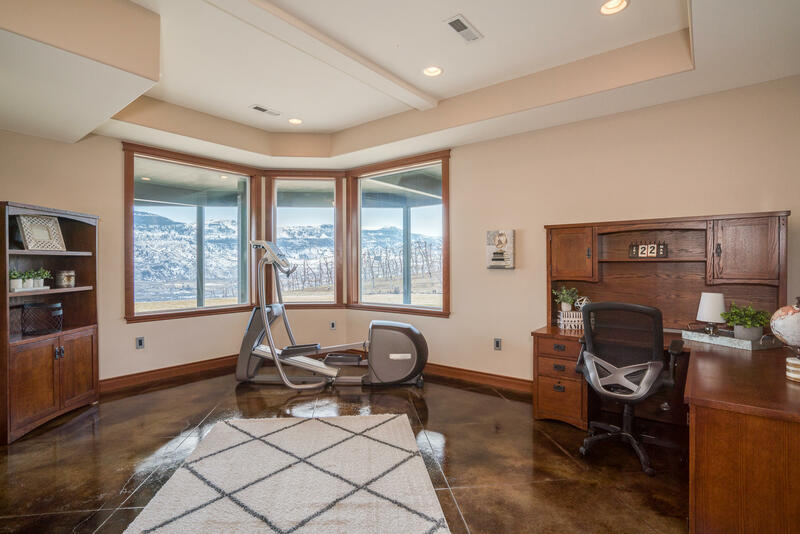 The lower level features a family room, a bar for entertaining, two option rooms perfect for work outs, media, a gun room or a home office all with heated acid stained flooring. 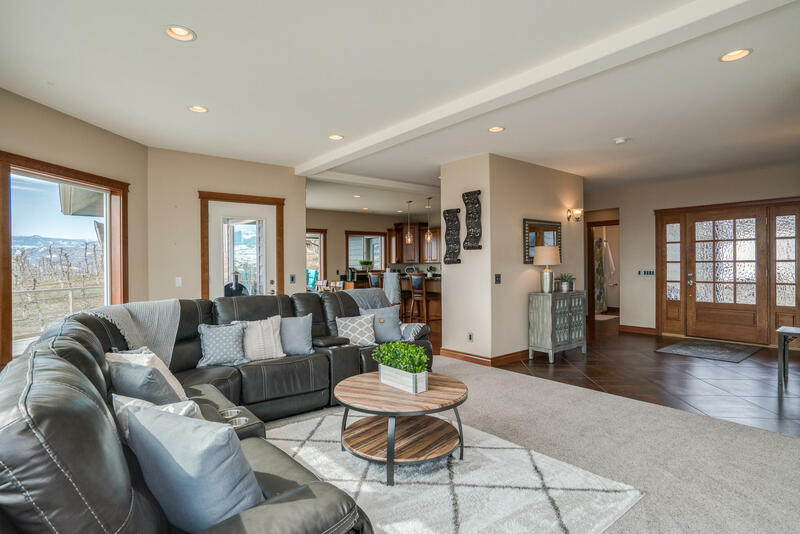 This home is an entertainer's delight!